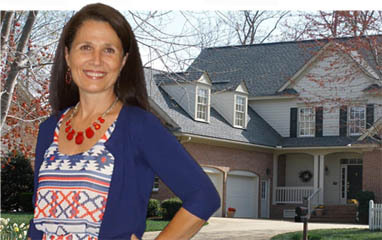 Read what our customers have to say about Kimberly Builders, Inc.
“My husband and I contracted Kim Griffith of Kimberly Builders to build our new home on a lot in James City County, Virginia in September 2016. At that time, Kim stated that the house should be completed by the end of February or beginning of March. Kim had previously created a floor plan for this particular parcel of property and asked if she could share for ideas with us. We made some significant changes thought it was basically a similar footprint. Kin was open to the modifications and was not the least bit “territorial” about her design. The construction process was flawless. Kim kept us updated on each step of construction, and included us in the decisions-making process, to the extent that we asked her to. She made herself available every time we requested a meeting. She responded to emails and texts immediately. We constantly bounced thoughts off each other. When I did not agree with something she proposed, I ashed about her rationale, and once she explained, I was completely on board. The sharing of ideas created the perfect home for us. Kim has worked with the same sub-contractors for years and they know her style and work ethics and they respect her. She never hesitated to “get in the trenches”. By the middle of February 2017, Kim advised us that we would be ready to move in by the beginning of March – right on schedule! Now, five months after completion, Kim has not forgotten us. She responds to the “new construction issues” without hesitation and remains as pleasant as she was during the initial construction process. “Kimberly Builders just completed building our home. There are not enough words to express how wonderful Kim is to work with. Kim is so professional, KNOWLEDGEABLE, has great insight, all while being extremely friendly, down-to-earth, easy to work work, open to suggestions and will not settle for second best – her work is QUALITY! We bounced ideas off each other all the time. The partnership resulted in the perfect home for my husband and me. Kim knows the codes and building industry and her expertise and quest for perfection was thoroughly appreciated. If you ever are in the need for a renovation or new construction, put Kim Griffith of Kimberly Builders at the top of your list!!!! She is AWESOME and HONEST and she knows the business!!! !” Facebook post March 12, 2017. “If you are in need of a contractor to construct a house, addition or remodel, call Kimberly Builders at 880-9321. She just finished an addition for us in record time. The quality of the service and construction was outstanding. We were definitely lucky to get Kim to do our project.” The Va. Gazette’s “Last Word” post 10-25-14. “We are thoroughly enjoying our remodeled kitchen! Kim made this project so easy for us- she was a partner in the planning process; often bringing samples to the house- she met her schedule for the project’s completion and, most importantly, was at the house before the workers each morning and stayed until they left at the end of the day. This level of personal commitment is unique in the remodeling business and we sincerely appreciate it! “Kim, You AND your work are beautiful… thanks for EVERYTHING… it’s sincerely been a pleasure having you do our remodeling and getting to know you! “Just viewed your updated website… looks great! You, your work ethics and the results you produce are nothing less than beautiful! Thanks for our gorgeous remodeled master bath… we appreciate it every day!